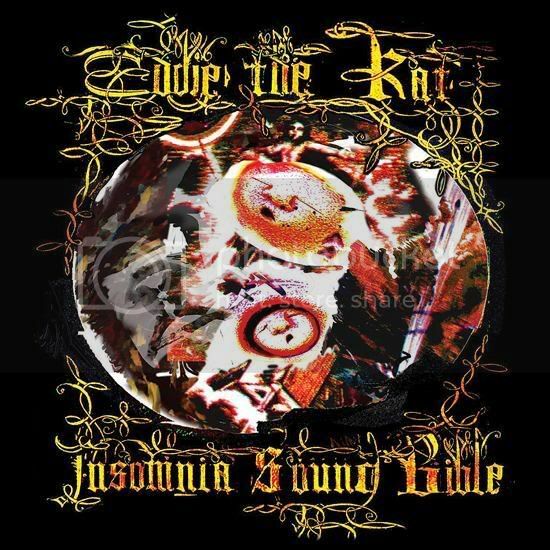 Multi-instrumentalist and composer Peter Martin started Eddie the Rat as a solo experimental project in 2000 as an outlet for electro-acoustic composition. Over the next year, the project grew into a performing ensemble, usually consisting of a dozen or more musicians at any given time, many from other bands in the San Francisco area. "Insomnia Sound Bible" provides a picture of these collaborations. This is a soundtrack for the somnambulist – sixteen selections prescribed in a single dose – designed to guide the sleepwalker through his restless ordeal. There are very few moments when some sonic vision is not tormenting the senses. The instrumentation is fascinating. Electronic sounds mingle with trumpets, clarinets, violins, cellos, varied drums and percussion instruments – even a triangle! There are certain moments that are extremely dense, in songs such as "Freak Out & Die," and "Lip-synching at Zero Gravity" which sound like an experimental symphony of sorts with a multitude of instruments providing a veritable smorgasbord of sound. Some passages are sparser, such as the three "Ronnie Camaro" tracks and the even more desolate "Where Do You Bleed?" The sound is never muddy, though, and engineer Jon Meyer deserves some serious credit for managing to corral all of these sounds so effectively. True to its name, this collection of songs really does evoke the feeling of wandering about within one’s own psyche, the fleeting glimpses of so many disorganized thoughts playing tantalizingly across the mind’s eye in a dream-like state from which one cannot escape. Blissfully bizarre!